The information on this page is only available to employees of PERF Member, Associate, or Liaison companies and groups. For information on joining PERF, please contact the Webmaster. 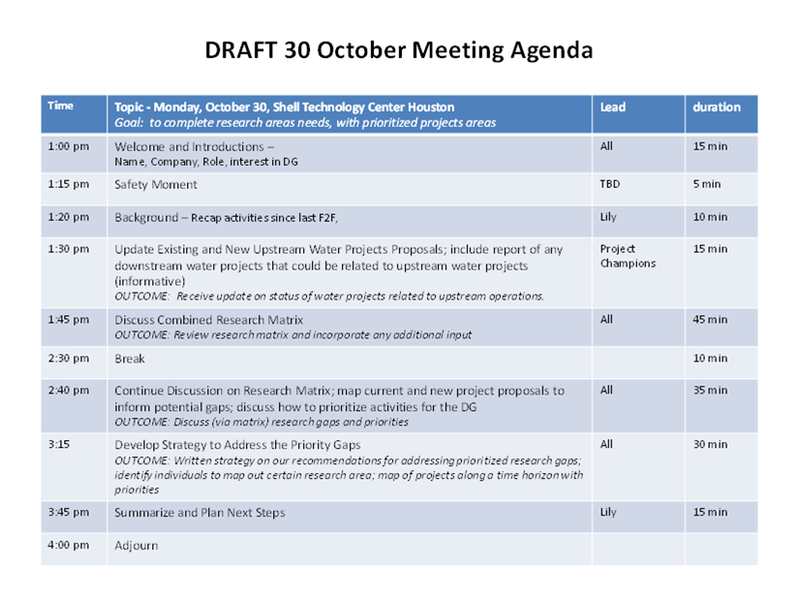 The Upstream Water Discussion Group (UWDG) will be meeting the day before the Fall PERF Meeting. They will be discussing current projects and proposals under their umbrella of upstream water, including treatment, toxicology, and reuse. The meeting will take place in room TM203 at the Shell Houston Technology Center. Detailed visitor directions and a draft agenda are available. Please contact Lily Baldwin for more information.